Spring at Shep’s – Freshen Up with New Sportswear! At Shep’s, we’re not just about winter! Come spring, we flip the store and offer you the greatest summer outdoor equipment, performance & trending apparel and accessories to get you set for the fun months ahead. Whether you like to wake surf or sunbathe, kayak or disc golf, we’ve got you covered. 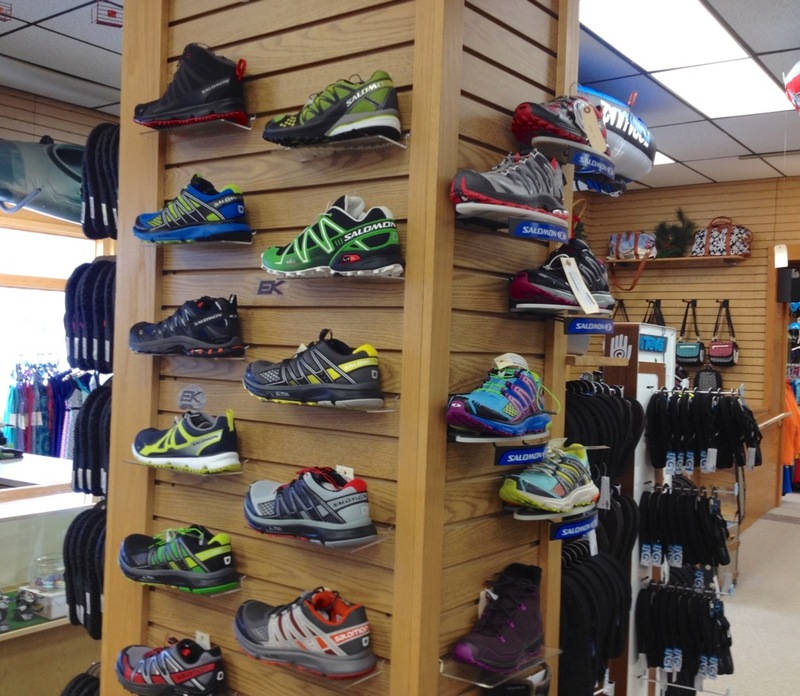 Customers come in and rave about the sportswear we have for men and women. Here are some highlights of things we know you won’t want to miss. Kavu – apparel for men and women who appreciate laid back style, organic fabrics and fun fashion. 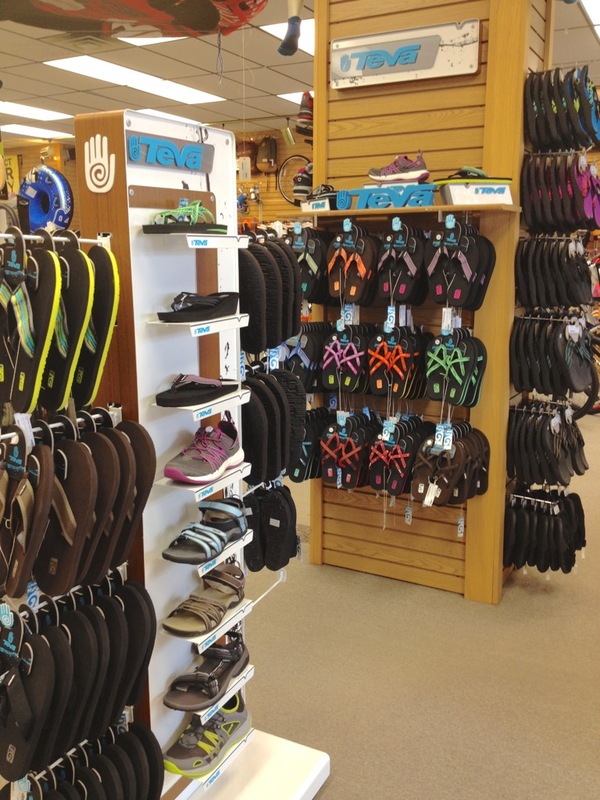 Teva Footwear – men and women have been asking for it, so we brought it in. You’ll find their classic Mush II flip flops (everyone needs a pair… or two), women’s Owowahu flips, as well as supportive sandals for summer adventures, and lightweight multi-sport shoes that are great for water activities! Salomon Footwear – we’ve heard nothing but positive feedback about our new trail running collection from Salomon shoes – brights colors and solid sole construction bring our friends back for more. These door-to-trail shoes can be worn casually or on your spring hikes & runs. Stop in and check out their technical features and try a pair on for yourself. Patagonia Sportswear – women, we have pieces to make you melt, as well as rainwear to keep you dry & ready wherever this summer takes you. Looking for a new go-to casual dress for hitting the farmers market, or something a little classier for a wedding in July? Maybe some skinny denim to pair with a cute tank? Stop in – we think you’ll find it here. 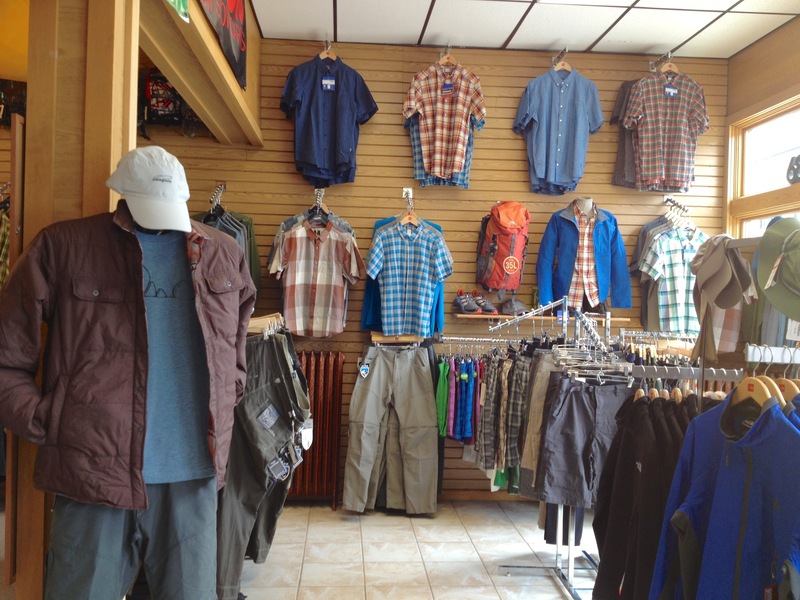 Men will find fresh new takes on summer weight tops, plaids, tee’s, board shorts, bright rainwear, and more! Kuhl Sportswear – They never fail with their classic, lovable styles. If you’ve liked it before, you’ll like it now. Sporty and fashionable looks are on our walls from Kuhl. (Never forget their bottoms – it’s what they’re known for. We have shorts in multiple lengths, convertible pants, and their classic pants.) No more sacrificing comfort for looks – they do both. Swimwear – it’s here, and it’s not just for swimming laps! We have a variety of cuts for women; from sporty racerback, classic bikini, or tankini tops, with bottoms in shapes that will work for you. 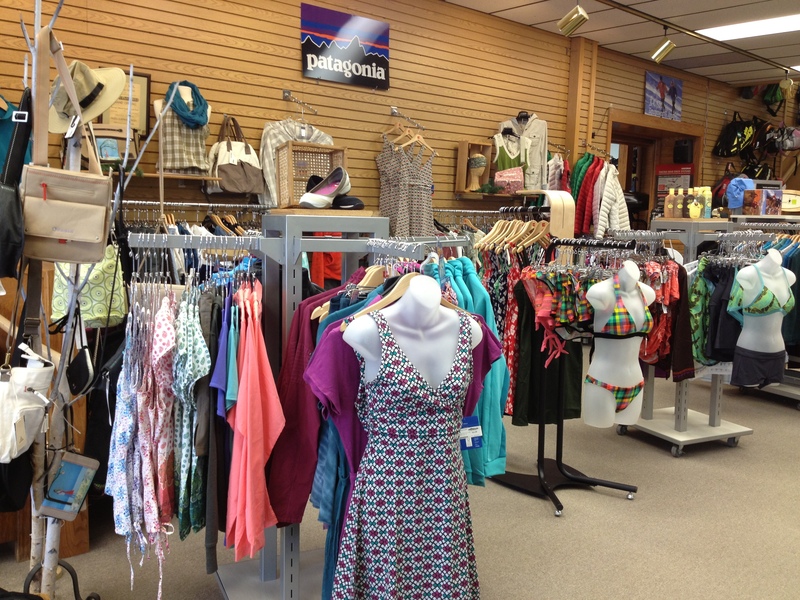 Patagonia and PrAna have patterns & colors you ladies will love. Men will be comfortable in stretch board shorts from Patagonia, too! Dakine Handbags – classic styles, quilted fronts, artist collections, laptop bags, and more! Find the right purse for you in our variety of shapes & styles. Complete your outfit or be ready for your summer trip with the best accessories for looks and function. Buff Headbands – If you’ve worn em you’ve loved em. The original multifunction headwear can be worn in 16 different ways. Not just for winter – our lightweight UV protective bands are perfect for summer sports & activities. Worn as bike helmet liners, sweat bands, or hair bands, these Buffs will help you perform to your max.